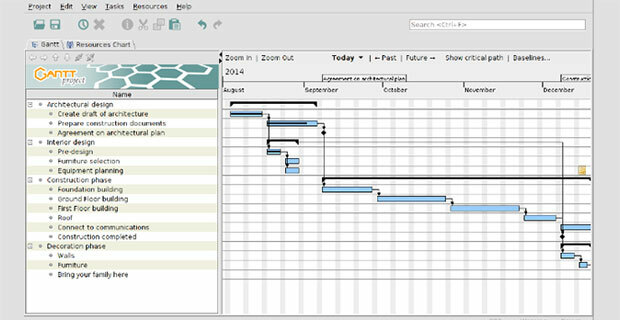 A Gantt chart lets you visualize the project in time segments. 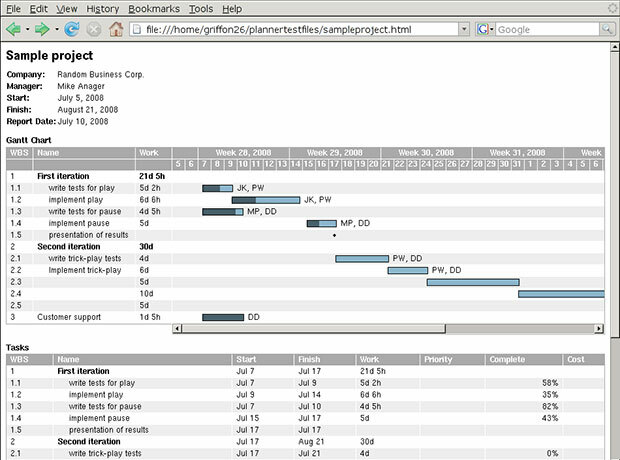 You can adjust the time needed for tasks or define dependencies between them with an intuitive drag-and-drop interface. 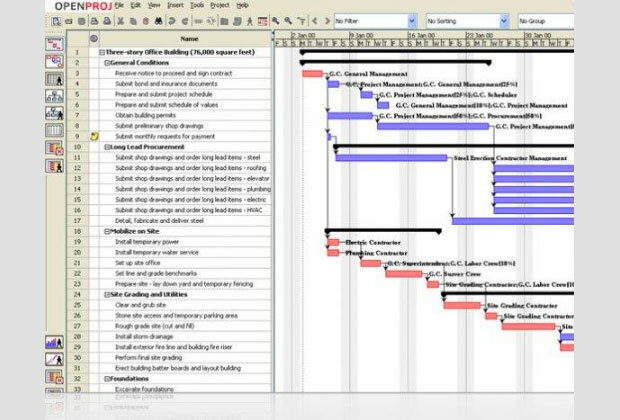 Task view shows the complete breakdown of your project along with the estimated cost and effort needed. 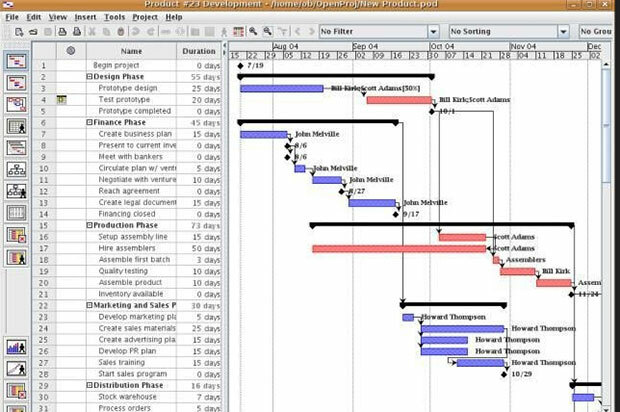 This helps you spot assignment conflicts so you can rearrange schedules.